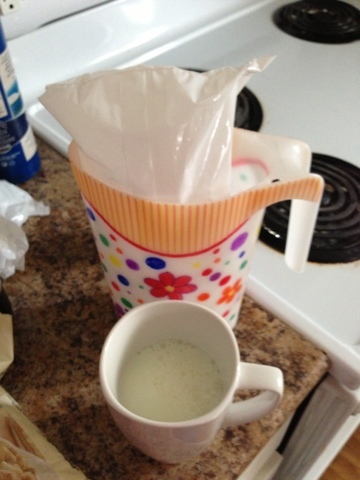 I started by filling half a small mug with milk and warming it in the microwave. I warmed mine for two 45 second intervals. 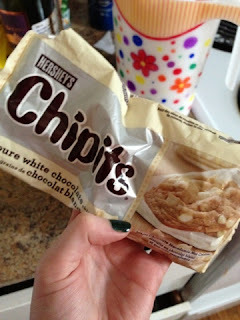 I then poured in the chocolate chips, I'm not sure how many but I went until I was happy with the sweetness of the milk. 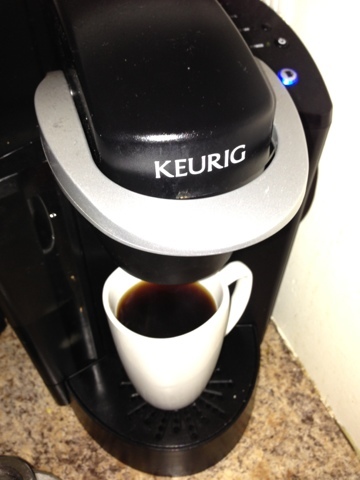 Next, brew your cup of coffee. I did this in a second small mug, because I had a fear of it overflowing and made more than I was planning on. You could do this all in one giant mug, which would be smarter. 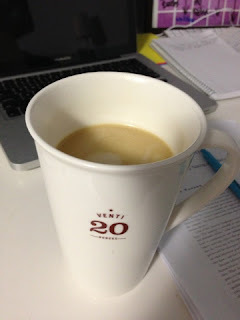 Finally, I combined the coffee and milk mixture in one giant, venti sized mug. Its missing the whip cream, but I usually ask for no-whip and you could always easily add some on top if you wanted too.